Rear Upper Control Arm Bushing Tool makes it much easier to change the rear control arm bushings at the differential. The bushings are a press fit in the differential housing, and are difficult to access when not removing the rear axle assembly from the car. Unique MM tool makes this tough job much easier and faster. Presses the old bushings out. Presses the new bushings in to the correct depth. Replacement hardware when you wear out the nut and bolt can be found in our Service-14 kit. 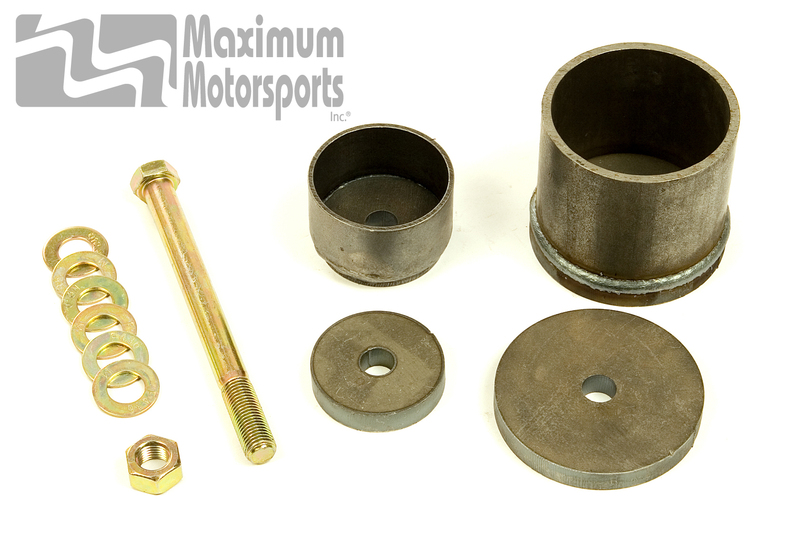 You can read Maximum Motorsports' highly detailed MMT-1 differential bushing press tool instructions before purchase.